The final season of Parks and Recreation has no patience for our pitiful present. For its final 13 episodes, the show will take place in the year 2017, a time with delivery drones, Johnny Karate has his own TV show, and Gary is now called Terry. Last season’s finale was a big cliffhanger that raised plenty of questions, and a new teaser trailer only offers more. While it’s nice that Parks and Recreation will have some mysteries to solve, I’m just happy to be spending time with these characters again before we have to say goodbye to Pawnee. 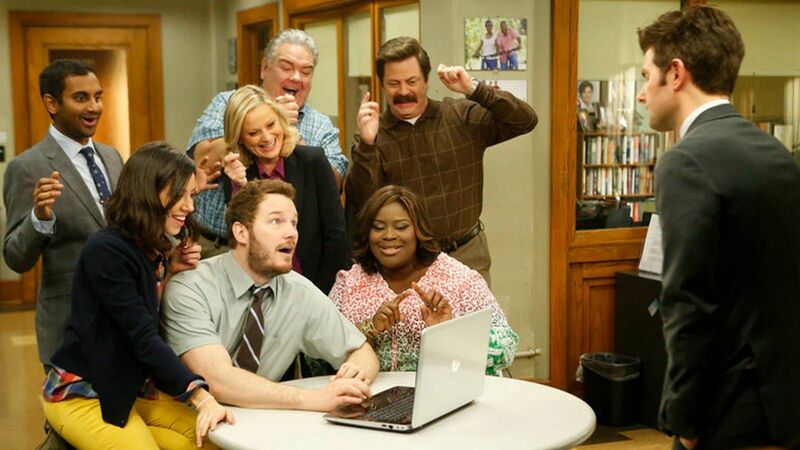 Hit the jump to check out the Parks and Recreation trailer for the final season. The season premieres on January 13th at 8/7c.